One of the many things we love about the indie author community is the willingness to share. So much knowledge and experience is available and we have taken huge strides forward thanks to the generosity of others. So we’re passing it on. These are ten of the invaluable sites Triskele Books use, each with a recent, relevant post. If you have recommendations to share, please let us know. Global news on all things publishing, overviews of developments, markets, changes and opportunities. A great place to start. 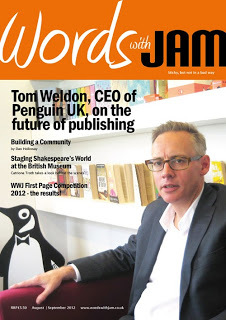 British magazine containing the latest news from the publishing and bookselling worlds, in-depth analysis and features. Lee, southeast London. A young girl has disappeared. There are no witnesses, no leads, no clues. The police are tracking a shadow, and time is running out … DI Ellen Kelly is at the top of her game – at least she was, until she took the law into her own hands and confronted her husband’s killer. Now she’s back at work, leading the investigation into the missing child. Her superiors are watching her; the distraught family is depending on her. Ellen has a lot to prove. And she knows it. 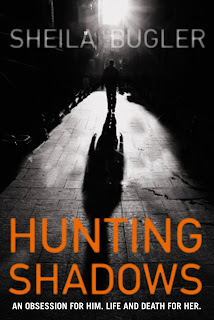 A tense thriller that stalks the urban streets of southeast London and the bleak wilderness of the North Kent coast, Hunting Shadows introduces the forceful, compromised police detective, DI Ellen Kelly. 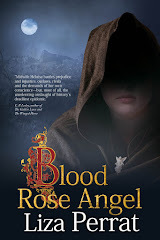 We're proud to have Sheila Bugler as a friend of Triskele Books and we very much look forward to reading the next book in the series. Hunting Shadows is available in paperback and e-book from major suppliers and can be found at Amazon here. 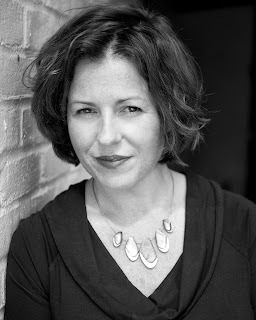 Welcome to Triskele Book Club, Sheila, so to start can you tell us a little about your debut novel, Hunting Shadows, and its origins? At its heart, the novel is about parental love and the importance of giving a child a safe, secure, loving world to grow up in. And the damage inflicted on children deprived of this. The plot centres around the search for a missing child and the idea for the novel came from an incident that happened when I was a student. A friend of mine was sharing a house with a woman he didn’t know very well. One day, she arrived home with a baby she said was her child. Only it wasn’t … It didn’t take my friend long to work this out, especially when subsequent news reports focused on the disappearance of a local child. My friend went to the police and, very quickly, the child was reunited with its parents. In the years that followed, I couldn't stop thinking about that poor woman. What sort of terrible desperation would drive someone to steal a child? Could I ever imagine being driven to such an act? When I started writing Hunting Shadows, I had two young children. The huge responsibility of being a parent was wonderful and daunting. It brought that incident from years ago to the forefront of my mind. I started to imagine different reasons someone would take a child, and the effect that would have on everyone involved. And so the book began. Characterisation is very strong in the novel, DI Ellen Kelly was someone I instantly connected with, so where do you start when plotting a new character? Voice. Always voice. I have to have the character’s voice in my head and, once that’s there, everything else follows. By voice, I don’t mean how their words sound when they speak them aloud. For me, voice is about a character’s internal dialogue. It’s about the way they think, the way the approach life. It’s not easy to explain this but it is the single most important thing that gives life to a character. Who do you class as some of the greatest literary characters of all time? Paul Mclean - Norman Mclean’s brother in my Desert Island novel, A River Runs Through It. Mclean’s writing brings his brother so perfectly to life it’s heartbreaking. I have read this book many times and will continue to do so. It’s a masterpiece. The wonderful, paranoid and brilliantly eccentric Martin Dean from Steve Toltz’s incredible debut novel, A Fraction of the Whole. Which crime novel would you have liked to write? Any one of Megan Abbott’s novels. Or Stephan Talty’s recent novel, Black Irish. Where do you stand on the subject of research, love or loathe? And how do you handle it? Loathe it. Absolutely hate it with a passion. I’m very impatient and I just want to get on with telling my story. I find it really hard to care enough about the procedural side of stuff (not a great attitude when I’m writing a detective series!). I’m very lucky to have a contact at Lewisham police station who has helped me with some tricky procedural questions in the past. And I have a wonderful editor who makes me tidy up the bits I haven’t researched properly! What do you think your Irish background brings to your writing? A huge amount. I am a reluctant emigrant. I adore Ireland and miss it (despite being very happy in the UK). For me, writing really is a way of connecting with my country. I write Irish characters (not exclusively, of course) and it was always very important to me that Ellen’s roots were Irish. At the moment, I can’t imagine writing a novel that doesn’t have some connection to Ireland. I don’t think I’ve ever really wanted to do anything else. I started late, though, but that’s because I just wasn’t confident enough, until recently, to really believe I could do this. Location is a focus in Triskele books, and your attention to detail around the London boroughs, using parks and street names, in your novel is a strong theme too. How do you rate the importance of getting the right location? For me, location is really important. My novel is set in south-east London and the north Kent coast, two places very special to me. In all the best crime novels, location is as important as plot and characterisation. I am a huge fan of North American literature and one of the many reasons for this is the way the landscape of that beautiful part of the world becomes such a part of the story. 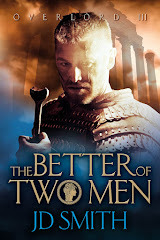 Outside the US, two authors who evoke location brilliantly are Ken Bruen and Robert Edric. Galway is the setting for Bruen’s Jack Taylor novels. It’s a place I know and love. Reading Bruen’s novels is a wonderful way of reconnecting with the place. Hull, on the other hand, is somewhere I’ve never been to, although, thanks to Edric, I feel as if I have. Edric’s Song Cycle trilogy, set in Hull, are amongst the best noir fiction I've ever read. You’ve followed the traditional tough route into publishing, but what is your opinion on the current move in the market towards acceptance of quality, independently published books entering the mainstream? I think it’s brilliant. There are so many talented writers who are independently published and their work deserves wide recognition. 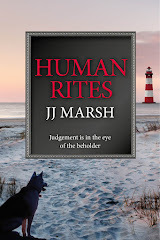 In crime writing, for example, Gillian Hamer and JJ Marsh stand alongside the best names in the genre and I’d love to see their books reach a wider audience. Even with a publishing deal, it is tough getting people to notice you. I’ve got a team of people working on my behalf. For indie authors who do it by themselves, it must feel, at times, like pushing an elephant up a mountain. There’s so much I want to do. I always have half a dozen different novel ideas knocking around in my head. Recently, I dreamt the entire plot for a TV crime series. I haven’t been able to stop thinking about it so I’m trying to map that out at the moment. And, of course, I’m working on the sequel to Hunting Shadows. 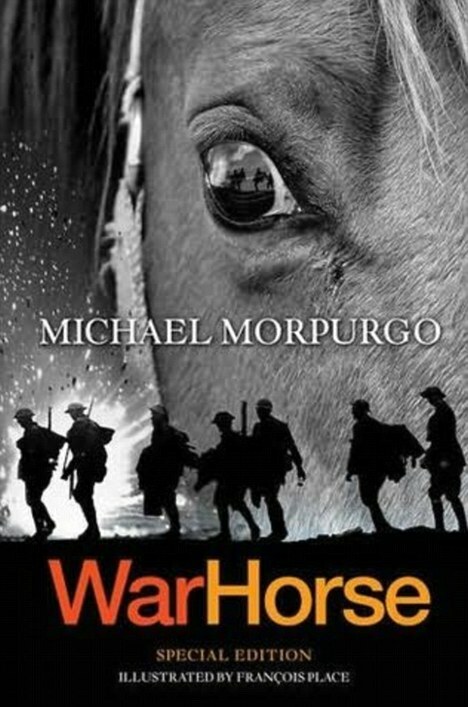 It’s called Watch Over You and it will be published in 2014. It’s a dark, twisted novel about dark, twisted women. I think it’s going to be good. Hunting Shadows is published by Brandon Books, an imprint of the O'Brien Press. Sheila Bugler grew up in a small town in the west of Ireland. After studying psychology at University College Galway, she left Ireland and worked in Italy, Spain, Germany, Holland and Argentina before finally settling in Eastbourne, where she lives with her husband, Sean, and their two children. Sheila adores crime fiction and has never wanted to write anything else and would be delighted to share her recommendations and to hear yours too. If you'd like to contact Sheila, you can do so through her website: www.sheilabugler.co.uk or via Twitter: @sheilab10. Cross-promotion is a big word for us at Triskele Books. Not only does it offer mutual benefit to both parties involved, it can result in real ‘hallelujah’ moments in our own writing. Listen to advice from any of the self-help manuals out there, and they will agree about the importance of cross-promotion in the world of indie-publishing. 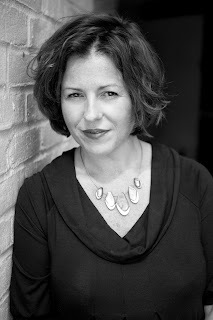 See David Gaughran and Joanna Penn’s advice how offering an author any form of promotion in return for their time is for us indies much like the wheels of industry. It keeps everything moving and offers more benefits than any other form of self-marketing out there. But we’ve discovered another benefit to cross-promotion. Often established authors are more than willing to talk about their passion for writing or pass on advice and experiences. Every interview offers something to an upcoming writer that they can take away and use for their own benefit. 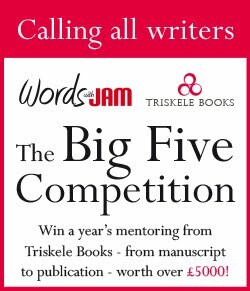 Over the past few years, two Triskele members, JJ Marsh and Gillian Hamer have, via their work for Words with Jam magazine, interviewed both some of the biggest names and the newest ground-breakers in the literary world. Here, they impart a little of what they’ve learned about the art of interviewing, and discuss some of their most poignant moments. If you had one top tip for interviewing techniques, what would it be? (GH) Do your research. Even the most media-weary writer won’t be able to able to resist if you hit on one of their ‘hot spots’. I remember asking crime writer, Peter May, about an element of his book, The Blackhouse, where he infiltrated the shady world of hunting gannet chicks. It was obviously one of his proudest achievements as I had to edit down his response. Writers love to know that you’ve read their work, especially if you clearly appreciate it, and are always more than happy to discuss what really gets their juices flowing. (JJ) Agreed. Knowing the work well is paramount, even the less obvious pieces. As is finding the points where you and the interviewee have a common sympathy, eg Jane Fallon’s cat, Malcolm Pryce’s beer, Joey Goebel’s music, Jessica Mann’s politics, Jane Goldman’s dogs and Tom Weldon’s holidays. This stuff rarely makes it into the interview, but if it’s genuine, it establishes a connection and sets a warm tone. Let’s hope I never have to interview Jeremy Clarkson. In terms of cross-promotion for newer authors, how do you think interviews help? (GH) I think it’s something of a snowball effect. The more writers you have on your blog, the more readers of their work are attracted to your blog and consequently hopefully your own writing. Their readers may become your readers, and so on and so on. Including links to other’s work, even in non-fiction articles, may attract just one person to like the sound of a book, click the link and buy it. And of course, it works both ways. You get the offer to appear on someone else’s blog, and their readers like what they read, click onto your website and hopefully buy a book! (JJ) I suspect it takes a while to establish trust with readers, who, like shy deer, will gradually come and graze on your offerings if the work is consistently good. Where that leads ... I don’t know. I’m a ravenous reader but books I’ve bought on the strength of columns and blogs barely stretch into double figures. What can help turn an okay interview into a successful result? (GH) I find being natural as the interviewer is a big help, building a rapport with the other writer, maybe via email beforehand. Inject a little humour or humility. Be human and be yourself. (JJ) Being respectful, remembering that they see you as a journalist (ie, cloven-hoofed with bloodied fangs), an awareness of the production-line interview regime writers on tour have to endure, listening and appreciating what the interviewee has to say rather than imposing an agenda. 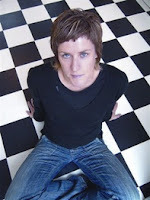 (JJ) Helen Fitzgerald was a terrific discovery, not only as a writer, but as a funny, open and potty-mouthed interviewee. David Mitchell and JK Rowling are fascinating people and I thoroughly enjoyed our discussions. But I was already a massive fan of both, so didn’t need much convincing. Whereas I had only just started reading Christos Tsiolkas. His work is far from easy, but forced me to think. When I met him, his intelligence and articulate expression of ideas, over breakfast on a Sunday morning, sent my synapses into overdrive. I was so scared of him, but to date, he’s the only author to demand a hug at the end of our interview. And without naming names (unless you will!) – what about the worst? (GH) For me, it’s not so much a bad interview because I think I can honestly say I’ve never had one. What is most disappointing is the non-starters, or the difficulty often faced in by-passing the barriers of PR and Marketing executives that surround some of the biggest names. Once you connect with the writers themselves they are generally lovely people. I’ve had a couple of writers who I’ve tried to connect with in every way I can try – and still get ignored or turned down. That’s disappointing both from a personal and professional perspective as I’m sure they have experiences we could all learn from. (JJ) Two, but no names as one of them is definitely a witch. Author A. We gave her a platform to promote her excellent but unrecognised work and she rubbished the magazine with breathtaking arrogance. Needless to say, she never made it to print. Author B’s ‘handler’ sat like a hawk in the corner, tutting and sighing and glancing at the clock, finally cutting off his enthusiastic responses. After the author left, his handler accused me of ‘manipulating the writer by talking about his interests’. Dang! How could I have been so stupid? You’ve mentioned getting to interview some big literary names, how do you get their agreement? 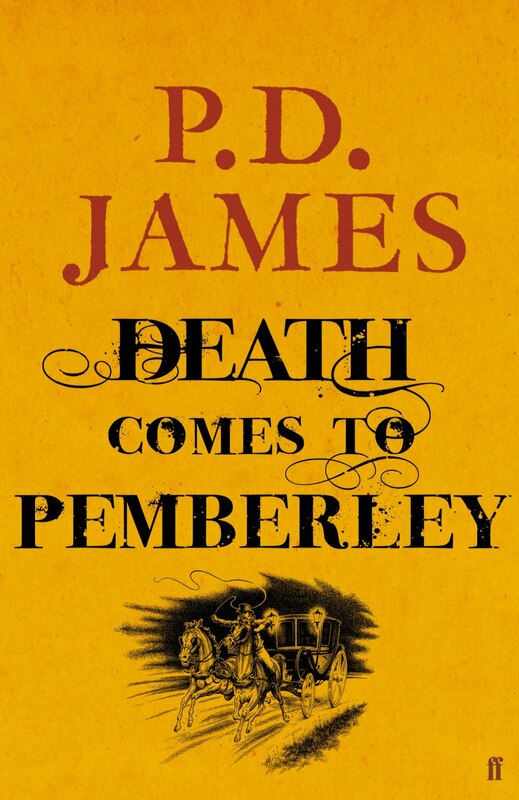 (GH) I’ve very recently had the privilege of interviewing PD James. She does so little media now that I never really held much hope of getting her. It was really just persistence, building up a relationship with her publicist at Faber & Faber. I wrote quarterly for a year, just a short, polite email to ask if Ms James was currently doing promotion. Eventually, Nicole got back to me and said if I sent through some questions she would pass them onto the author, and gave me an idea when they’d be completed. I’m really proud to have got the interview and it’s a real coup for Words with Jam. Who would you most like to have interviewed but know you never will? (GH) Easy. Agatha Christie. For obvious reasons. (JJ) JM Coetzee. I love everything that man stands for but where publicity’s concerned, he’s a cantankerous old goat. And turning the tables, what are your thoughts about being a good interviewee? (GH) Echoing what I’ve said previously, my best advice is be yourself. Answer the questions fully and honestly. Chances are if you’re passionate about a subject that will come across in your responses, and it won’t be a hardship to discuss your writing. If you find something you particularly like to discuss – maybe settings of your novel for example – try to angle the interview so that you spend time on your biggest selling points. Without being blatant, try to get in a mention of your novel or your previous novels. Remember selling books is the bottom line. And if it’s an email interview, always make sure to include links to your books, website, blog etc. (JJ) Think about the audience and be honest. That latter refers to both mundane detail and big ideas. Tell the truth about the crap bits and how you procrastinate by cleaning the garden furniture in November. Or if you think conceptually, say so. People seem almost apologetic about thinking deeply these days. And on a personal basis, what are the most memorable things you’ve taken away from an interview – and why? (GH) Again, it’s hard to choose! I found a lot of the advice Joanne Harris gave about structure of story-telling and her thoughts about e-publishing and new technology really interesting. But I think it was PD James's response to my question about her biggest achievement that stays with me because it puts her on a level with every writer out there. Remembering she’s a Baroness, with multiple novels, films, television series and awards to her name, she listed her proudest career moment to be the telephone call she received from her agent to say that Faber & Faber had accepted her first novel. It kind of puts everything into perspective. (JJ) I collected a delightful selection of interviews for my blog - The Interviews. But I still think one of my favourites was a question rather than answer. 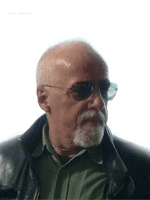 Paulo Coelho: Writing is a socially acceptable form of getting naked in public. Are you taking off your clothes? Female villains are all the rage these days. I suspect this is partly due to the success of Gillian Flynn’s excellent novel, Gone Girl. But there’s another reason female villains are having their moment in the spotlight: quite simply, this moment is long overdue. Traditionally, women in crime fiction have been two-dimensional figures falling neatly into one of two categories: the innocent (usually young, mostly pretty, often delicate) victim or the deadly femme fatale. It’s the classic ‘virgin/whore’ stereotype, as lazy as it is inaccurate in its portrayal of women. Of course, there are exceptions: Miss Marple, Kay Scarpetta and VI Warshawski, for example. On the whole, though, women have had a rough time of it. Not anymore. Largely thanks to authors such as Louise Welsh, Gillian Flynn, Christa Faust, Megan Abbott, Val McDermid, Lin Anderson and Denise Mina, a new breed of female is now stalking the pages of contemporary crime fiction. She’s complex, she’s clever and she’s very dangerous. To celebrate this, and as a reminder that some authors have always broken the mould, I’ve pulled together my own list of the ten best female villains in crime fiction. It’s not definitive and it’s entirely subjective. Feel free to nominate your own favourites and do let me know if you disagree with any of my choices. Irene Adler only appeared in one of Conan Doyle’s Sherlock Holmes stories but it was enough to make a lasting impression. Apart from Moriarty, Adler is the only character across all the stories who is Holmes’ equal. TV and film adaptations characterise her as a deviant, amoral woman out to get what she wants at any costs. In fact, Conan Doyle’s original creation is more complex than that. For many female Holmes fans, Adler has become an icon of female independence. Intelligent, resourceful and sexually liberated, she is a thoroughly modern woman. And she runs rings around Holmes. I adore her. In fact, if you’ve ever read the original story, you’ll know that Adler isn’t quite the villain she’s made out to be on TV and film. But if I was to tell you why, that would ruin a classic story for you. Best read it yourself and form your own opinion on the woman who came closest to stealing Holmes’s heart. Okay. So I had a little moan earlier about the two-dimensional portrayal of women in crime fiction. And, to an extent, Helen Grayle could fall into the classic femme fatale stereotype. Could. She doesn’t for one simple reason: the sheer brilliance of Chandler’s writing. Grayle, ‘a blonde to make a bishop kick a hole in a stained glass window’ (how could any sane person not love this description? ), sizzles across the pages of Chandler’s classic novel. Does it matter that her name’s not really Helen Grayle? Or that she’s not even a real blonde? No. Especially when we learn that she is really flame-haired Velma Valento, the one-time nightclub singer who’s busy hiding her past by killing anyone who knows her real identify. Farewell, My Lovely is one of my all-time favourite crime novels and Helen/Velma is one of Chandler’s greatest creations. Samantha Lamb is the truly evil heart of Cathi Unsworth’s excellent novel, Weirdo. I am a huge fan of Unsworth’s work and this novel is one of her best. As with all of her work, Weirdo is steeped in atmosphere and empathy for life’s misfits and outsiders. Set in the fictional Norfolk town of Ernemouth, Weirdo explores the dark underbelly of seaside living in the eighties, a time of New Romantics, big hair and the inexorable rise of Thatcherism. Samantha isn’t the only evil presence in Weirdo but, for me, she is the most memorable. She is an amoral, manipulative murderer who – quite literally – will stop at nothing to get what she wants. Mary Taylor is the beautiful, murderous matron in PD James’s excellent Dalgleish novel, Shroud for a Nightingale. Taylor is a special character because, although she commits terrible crimes, we can’t help empathising with her - up to a point. James does such a good job portraying the claustrophobic world of a nurses’ training hospital that we end up understanding why Matron acts the way she does. It’s because she cares. In a crazy, murderous sort of way. Described by one reviewer as ‘the book Stephen King wrote in an attempt to keep other people from becoming authors’, it’s not difficult to see why Misery is such a popular novel. One word sums up Annie Wilkes. Terrifying. She scared the living hell out of me. Watching Kathy Bates depict her in the film version of Stephen King’s Misery didn’t help, either. Quite simply, the scenario King creates in Misery is terrifying. As any King fan will tell you, Annie doesn’t use a sledgehammer in the novel. Instead, she devises an equally horrific way of crippling Sheldon and ensuring he can’t escape her deadly miserations. It’s a scene that stayed with me for a long time. Annie Wilkes is, in no uncertain terms, a nightmare. Dare Me is a story about a group of female cheerleaders and their obsessive, destructive relationship with their obsessive, destructive coach, Colette French. At the heart of the novel is the friendship between the narrator, Addy, and her best friend, the charismatic Beth. Along with everyone else, Addy has always played second fiddle to Beth. Until Coach French arrives on the scene and everything changes. The battle between Coach and Beth for top position becomes the focus of everything, it seems, with Addy stuck in the middle as she tries to work out her own place in the delicate hierarchy. For Addy, Coach represents a way to escape Beth’s suffocating, unhealthy love. For Beth, Coach is a threat who must be removed from her world, no matter what the cost. Like all Abbott’s novels, Dare Me pulls apart the complicated, sometimes damaging ties that bind women together. Beth Cassidy is a glowing, memorable character who stays with you long after you’ve closed the final page of this great book. Sharp Objects is Flynn’s first novel and, boy, does it pack a punch. Adora Preaker-Crelin is the very antithesis of a loving mother. 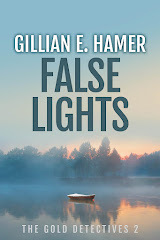 The novel is narrated from the viewpoint of Camille Preaker, a journalist who has returned to her home town to investigate the disappearance of a number of teenage girls. From the outset, we know Camille is damaged. She’s just done a stint in an institution for cutting herself. She is a self-harmer; her body covered in words she has carved into her skin – WICKED above her hipbone, NASTY on her kneecap. At first, we believe Camille’s self-harming is caused by grief; she started to self-harm after the death of her sister. Soon, however, we realise there are other reasons for this. Reasons that stem from the behaviour of her mother, Adora. The damage Adora has wreaked on her two remaining daughters is – possibly – irreversible. This is a novel about the terrible, long-lasting effects of a damaged childhood that brings to mind Larkin’s famous lines: Man hands on misery to man. It deepens like the coastal shelf. Get out as early as you can, and don’t have any kids yourself. Replace ‘man’ with ‘woman’ and you’ve got a good picture of the sort of mother Adora Preaker-Crelin makes. My second Abbott villain is every bit as complex, self-serving and utterly amoral as Beth Cassidy. While Cassidy exudes youth and nascent sexuality, Denton is an older, wiser, more experienced villain. She takes the nameless protagonist in Queenpin under her wing, showing her the ropes and helping her navigate the dangerous underworld, of which Denton is – make no doubt about it – the Queenpin. But when Denton’s protégée starts to get ideas above her station, she has no choice but to destroy the woman she’s spent so long protecting. As with all Abbott’s characters, Denton is a complex, clever and utterly unforgettable character. What’s not to love about Amy Dunne? Clever, cunning, cruel, amoral, and completely, delusionally bonkers, she is a wonderful character. Nothing or nobody is going to get in the way of Amy Dunne’s greatest creation: herself. Gone Girl has been a huge hit for Gillian Flynn and it’s easy to see why. It’s a tale told by two unreliable narrators (or is there only one? ): Amy and her husband, Nick. As we race through this story, we are unsure who’s version of the truth to believe. Slowly and so skilfully, Flynn draws us into Amy’s warped world view. It’s only once we’re in there, seeing the world as Amy sees it, that we realise this is a dark, deeply uncomfortable place to be. We want to get out as quickly as we can, but is it too late? A wonderful, original novel, Gillian Flynn has set high expectations for her next book. I read this novel when I was a teenager and it haunted me for years. Mrs Danvers, the maid and housekeeper of Manderlay, is a great, Gothic villain. Dark and deadly, we know we shouldn’t trust her but we can’t begin to imagine how far she’d go in her desire to prevent the new Mrs de Winter from taking the place of Danvers’ beloved Rebecca. Rebecca herself, of course, is another of the novel’s antagonists. Max de Winter’s first wife, she was lauded for her sophistication, elegance and beauty. But she was also an evil woman who committed evil acts. And yet, the adoration of her most loyal servant, Danvers, never waivers. All manner of theories abound on the true nature of Danvers’s relationship with Rebecca. I don’t think I care one way or the other if they were lovers or not. Whatever their relationship, Danvers is a towering, memorable villain who stands alongside the best of the classic villains of crime fiction. Oh, and you know what? I don’t for one second believe she died in that fire. Do you? Sheila Bugler’s first novel, Hunting Shadows, is now on sale. She adores crime fiction and has never wanted to write anything else. She’d be delighted to share her recommendations and to hear yours too. If you’d like contact Sheila, you can do so through her website: www.sheilabugler.co.uk or via Twitter: @sheilab10.